There are probably many times you wish you had access to your computer but are not at it. 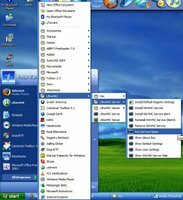 It can be frustrating because it and the computer you are at are both connected to the internet, but you have no way to get your files or bookmarks from your computer. 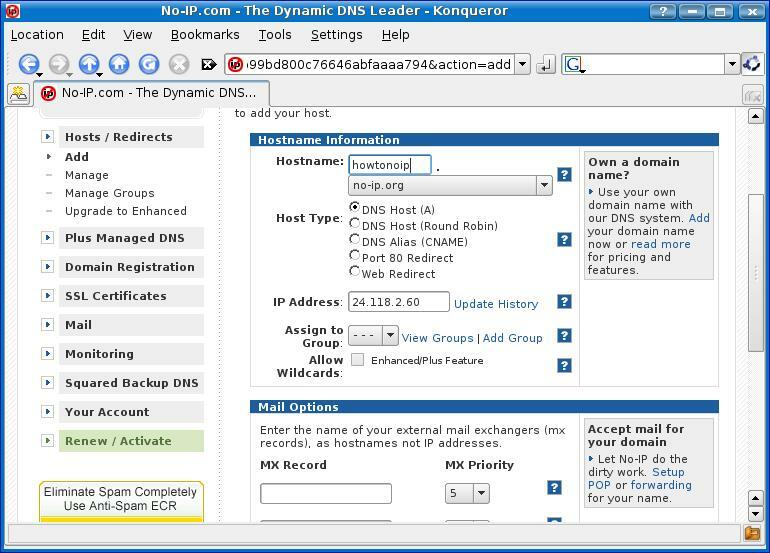 The solution is VNC and a Dynamic DNS service like No-IP. 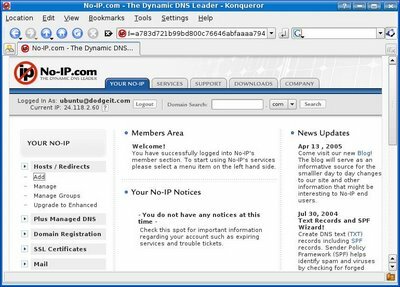 VNC allows you to remotely control your computer but because many people hace dynamic ips that is hard because your IP can change at any time. That is where No-IP comes in. No-IP is a client software that updates a free subdomain like example.no-ip.org to your IP every time your IP Changes. 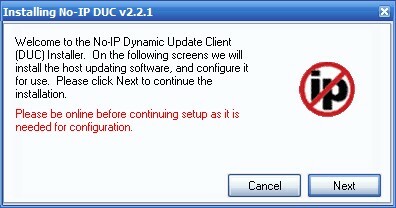 This howto will cover installing UltraVNC a VNC server and client, how to set up UltraVNC, and how to set up No-IP. First you must download the setup file from its website and run it. 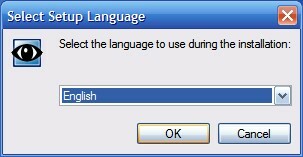 It will ask you to select your language. Once selected, keep pressing next until you get to a screen with many checkboxes like the one shown on the right. Check the boxes that are checked in the picture on the right and continue to press next until you get an error dialog that says "the machine has no default password set" like the picture below. Press ok and a new box will come up like the one shown on the left. Enter a password in and you may change other options to the way you want them if you know what they mean. Press ok and finnish the installation. 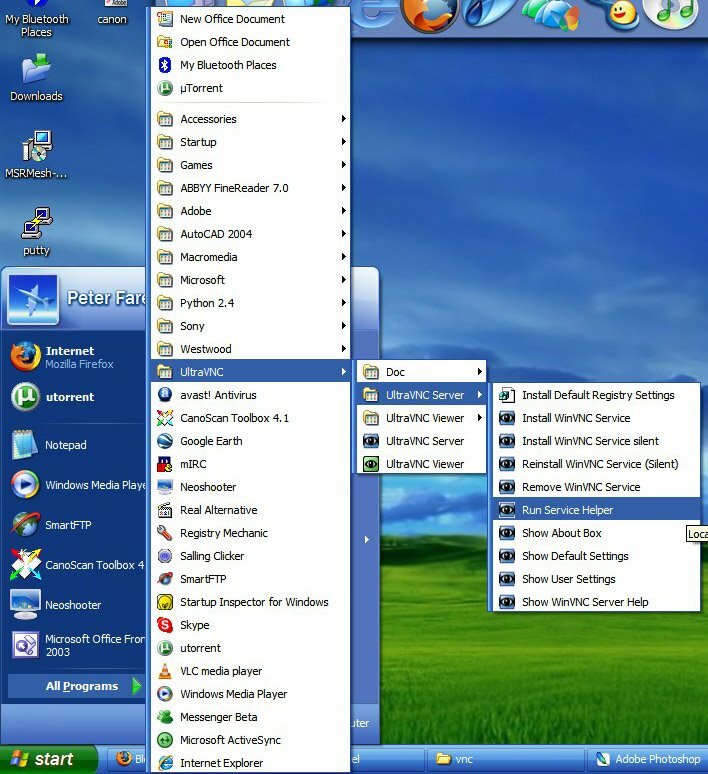 Once the installation is complete, open the start menu and go to the UltraVNC folder and open the UltraVNC Server folder inside. Make a copy of "Run Service Helper" into your Startup folder and run it. 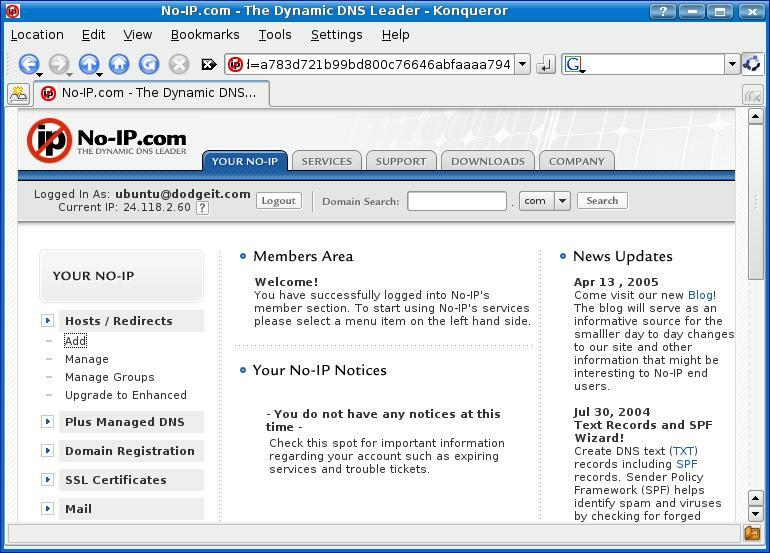 First if you do not have a No-IP account, create one by going to no-ip.com and registering. 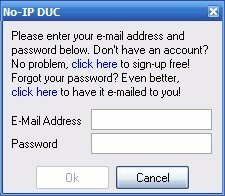 It will send an email to you so you can verify that you want to create account. Click the verification link in your email and it will send you back to the No-IP site. 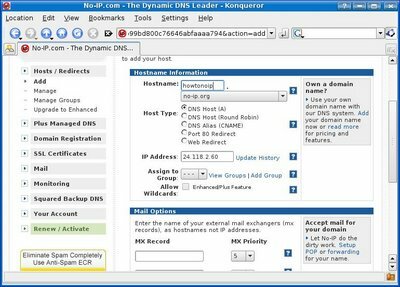 Log in to the site with the account you just made and click Add under Hosts / Redirects. Write whatever you want for the subdomain and choose a domain for it to be under. 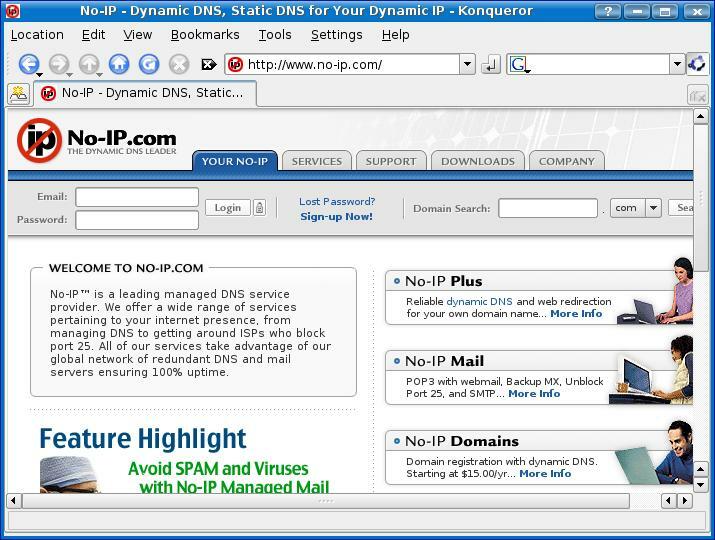 I chose howtonoip for my subdomain and chose to put it under their no-ip.org domain. 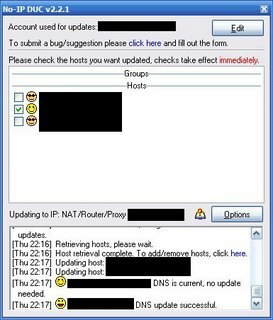 Scroll down to the bottom and click Create Host. 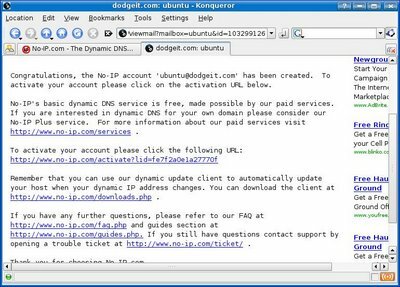 Now you will need to install the client from their website. Go to the Downloads tab on the top of the page and press the Windows logo. 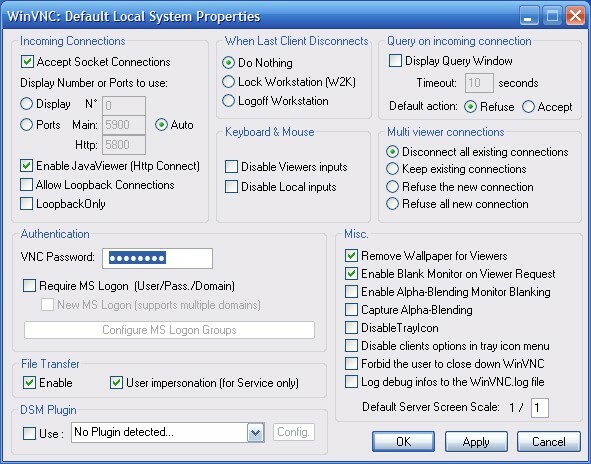 Use one of the download locations to download it and run the installation. Keep pressing next until it is finnished. It will then ask you for your email and password you used to register. Enter them in and it will display a screen like the one below. 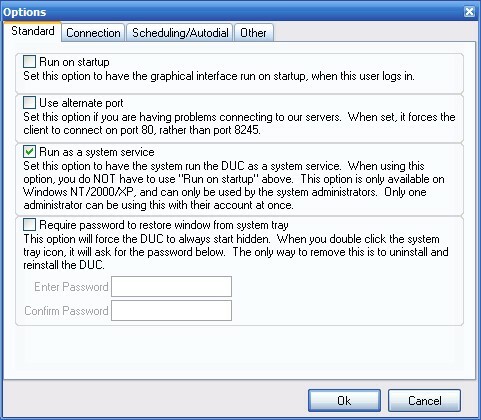 Press Options and check the third box that says "Run as a system service" and press ok and close the application. You are now done configuring everything! 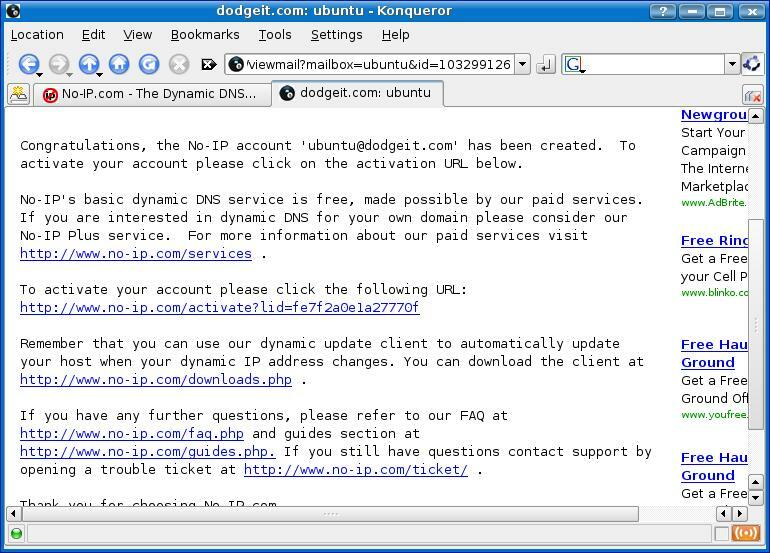 You may also copy vncviewer.exe located in C:\Program Files\UltraVNC to a flash drive or your email and run it anywhere to connect to your computer. You only have to put the no-ip address into the VNC Server because it is set up to use default ports. Note: Make sure to port-forward TCP ports 5800 and 5900 to the computer you set up VNC on so that you may access it from outside your network.